The Doge's Palace is one of the main landmarks of the city of Venice, northern Italy. 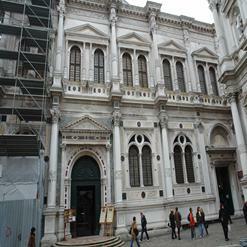 It is a historical palace built in Venetian Gothic style. You can able to take a guided tour which will let you discover the part of the palace where the city's administration worked, as well as Casanova's jail and the wonderful five hundred year old roof structure.